oth strengthen the intensity of colour and lengthen the life of a spray tan. Available as both a retail and wholesale product line; each are popular amongst regular tanners and offer outstanding value for money. Receive a 25% Discount when purchasing any of our Tan Enhancement Products in August. Tan Extender is enhanced with DHA and enriched with Vitamin E, Aloe Vera & Green Tea extract that nourishes the skin. Applied daily this product will gradually build up a natural looking tan or extend the lifespan of an existing spray tan. 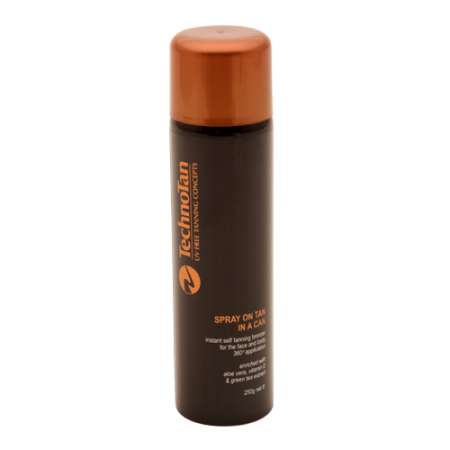 TechnoTan Bronzing Cream is designed to give an all over bronzed look by applying liberally all over the body (can be used on the face as desired.) Enriched with Shea Butter, Macadamia Oil and Sweet Almond Oil; this product is designed to deeply nourish and moisturise your skin whilst giving an instant natural looking bronzed tan. Can be used as a wash-off instant tan or it can be applied on top of a spray tan to achieve a deeper depth of tone. Alike the Bonzing Cream; TechnoTan Shimmering Bronzer features the same properties with the addition of a subtly sparkle. This is the ultimate finishing product for a glamourous spray tan. Available in medium to dark, TechnoTan Classic Tanning Mousse provides an overall natural glowing tan with one easy self-application in only a matter of hours. Enriched with Kakadu Plum Extract, Creatine, Geranium Oil and Mango Extract, this tanning mousse has amazing moisturising and skin rejuvenation properties and is suitable for all skin complexions. TechnoTan Blue Tanning Mousse is a blend of violet and brown hues that replicate the exotic olive skin tones of the Mediterranean. Applied in a single self-application; this quick developing mousse achieves great results in as little as 2hrs. 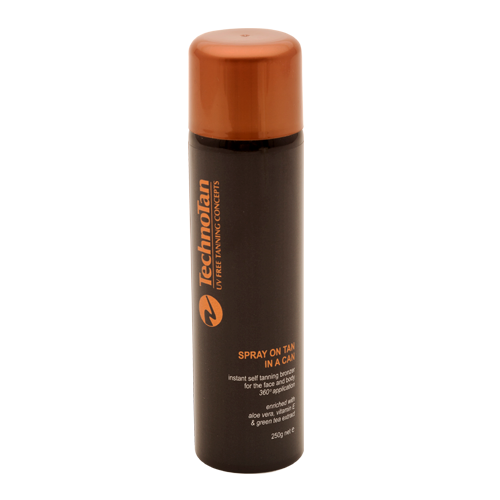 Enriched with Vitamin E, Aloe Vera & Green Tea, this spray tan can be easily self-applied resulting in a streak free tan. Featuring a 360 degree nozzle, this self tanner provides a flawless, golden glow. Are you prepared for the highest profit churning months of the year?